Rapid is elegant and easy to use multipurpose Bootstrap template with a modern and simplistic web design. It will leave a solid impression on everyone that visits your website with a high chance of getting in touch with you. 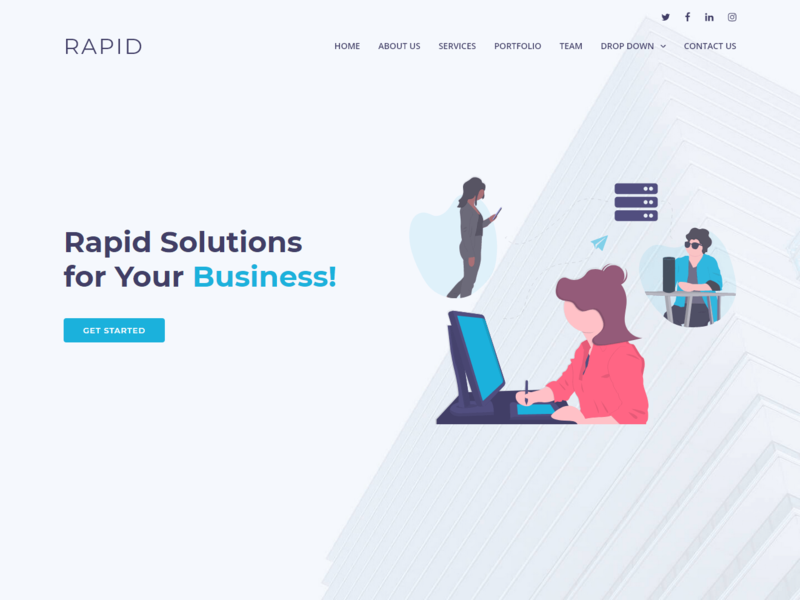 Rapid is a one page template with the latest web design trends and modern effects. Amazing hover and scroll effects, filterable portfolio section and a functional contact form are some of the goodies of Rapid template. It’s well coded and easy to customize to fit your needs. It’s fully responsive and works on all devices including mobile phones, tablets, laptops and desktop computers. Rapid template is suitable for any financial business, corporate, company, agency, digital marketing, consulting, digital studio, software mobile app, startup business and much more.